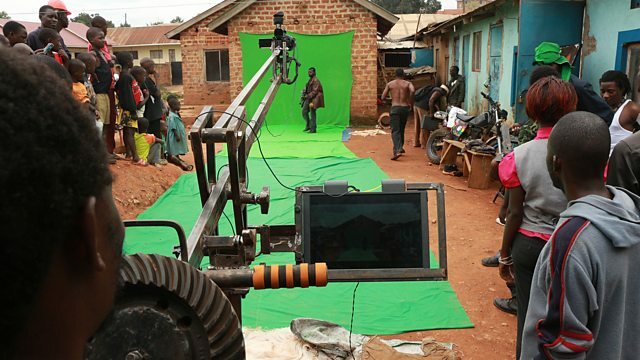 Isaac Nabwana and his business partner, Alan Hofmanis are making hit low-budget action films in Uganda. Isaac Nabwana's films feature car chases, choreographed fight scenes and special effects but they are made on a shoestring budget. When Alan Hofmanis, a movie buff from New York, heard about Isaac he was inspired to move to Uganda to work on his films. Outlook hears from them both. Extreme swimmer Lewis Pugh has just completed five long-distance swims in the sub-zero waters around Antarctica, wearing only his swimming trunks and rubber cap. LA crime reporter, Jill Leovy has written a book called Ghettoside that aims to challenge the myths around policing and race in the Untied States. And, Kurdish writer and poet Kawa Nemir is waging a battle to defend his language and culture.